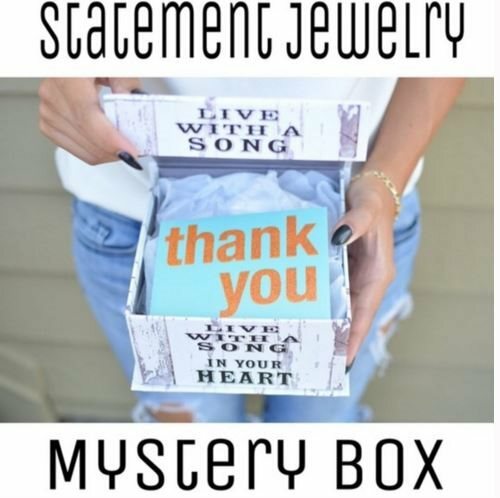 This fun filled box comes with 4 surprise gold jewelry pieces. 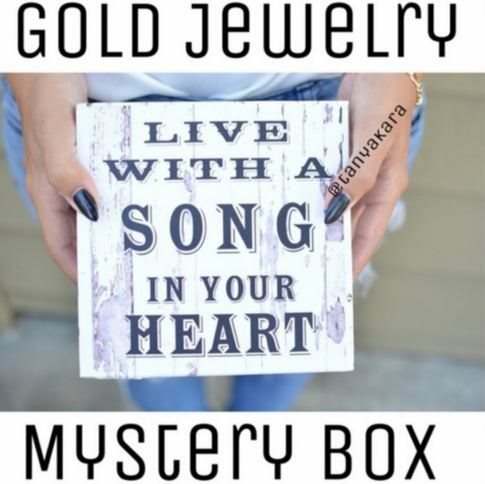 Love Gold???? This is for you!!!! Huge value at over $75! All brand new. 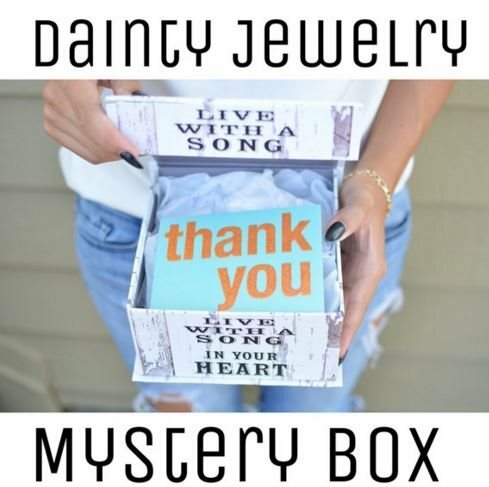 Comes in a super cute box you can re-use. 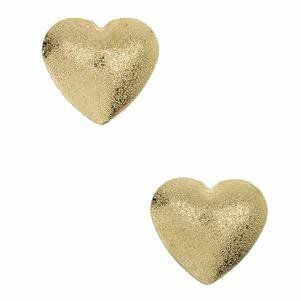 These brushed gold heart studs are the perfect pair to add some femininity and glamour to your look. 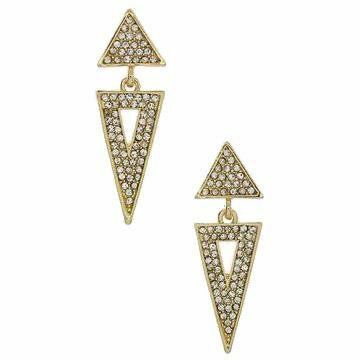 These unique studs will have compliments coming your way like no other. At 1" big they are super light to wear. 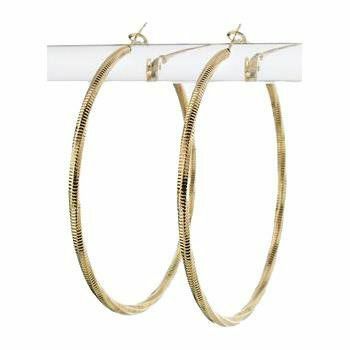 These beautiful Gold Decor Statement Earrings are a great basic pair of earrings to add to your jewelry collection. With a classy design and a pretty gold shine, this can add some chic and classiness to any outfit. 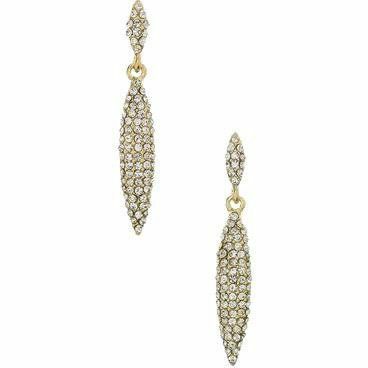 These fun and beautiful earrings are perfect for a night out or are ready for an elegant red carpet evening. 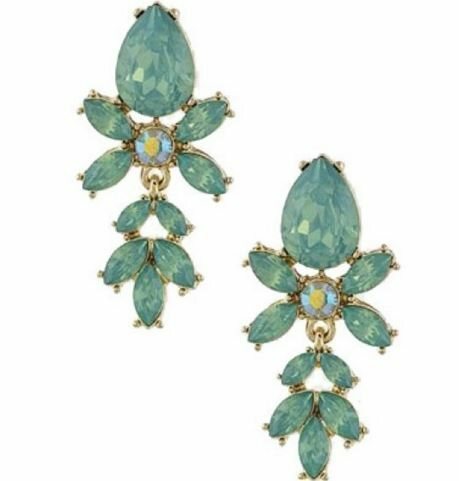 They feature a mint green faux gem and are 1.5" long with a post back.